NEBOSH is heading to Health & Safety Scotland this month where it will showcase its newest qualification, developed in partnership with the Health & Safety Executive. The NEBOSH HSE Certificate in Health & Safety Leadership Excellence is a new one day course is aimed at senior or aspiring leaders who want to ensure they effectively fulfil their health and safety responsibilities. The qualification is based on the application of the HSE’s health and safety leadership values and students will learn how to apply them in the workplace. As part of the exhibition, Barry will also be an expert panellist in the Safety Dialogue Theatre. The interactive Q&A session will look at training and competence and takes place at 14:15 on Thursday 13 September. 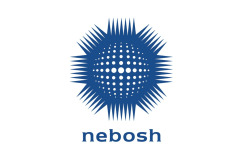 To find out how a NEBOSH qualification can help you and for more information about the NEBOSH HSE Certificate in Health & Safety Leadership Excellence, visit NEBOSH on stand HS107 at Health & Safety Scotland on 12-13 September at The SEC, Glasgow.